Living frugally doesn’t mean you have to do without the finer things in life. In fact, sometimes it means just the opposite. Furniture is one of those areas where I don’t recommend you skimp and here’s why. Furniture is a major purpose. After our homes and our vehicles, furniture is the next most expensive thing we will spend our money on. Furniture should last a long time. If it’s going to be around for a while, why not enjoy looking at/sitting on/using it? Furniture tells visitors to your home something about you. If your furniture is dingy, beat up or newer but cheaply made, it can color the opinion others have of you. Seldom is cheaply made furniture more comfortable than well-crafted furniture for which you can expect to pay a bit more. There are times when cheap is the only way to go. College student, young adults out on their own for their first time, and newlyweds often cannot afford much more than thrift store finds. Thrift stores are one of my favorite places to shop. If you can manage it all, however, spend a little more for a quality piece that will last you for years. Avoid those pressed wood, assemble-it-yourself pieces you can buy at retails outlets like Target and Wal-Mart. When first assembled, assuming all the pieces were in the box, they look great. And as long as you don’t move them around too much, they will do nicely for a couple of years. Start moving them around the room or from one apartment to another each year and they will begin to deteriorate. Add some kids, a careless swipe wit a vacuum cleaner now and then and you’ll begin to see dings, dents and scars in the veneer. Before long the piece can end up looking like you did a little dumpster diving to rescue it. Short term, they can be great but for the long term, buy an entertainment unit or bookshelf from a reputable furniture dealer. Tables take a lot of abuse. Kitchen and dining tables where we eat see spills, condensation from sweating glasses, hot pans and spills and drips from all sorts of craft projects. We kick the legs or bang them with the legs of our chairs and thump them with the broom or vacuum cleaner. Think about the character of an old farmhouse table. After decades of use, the thing is still solid as a rock. You can’t get that from the kind you can buy for $99 on sale. The same is true of coffee tables and end tables. We out our feet on them, toss our keys and the TV remote down on them. Leave snacks and drinks on them. They see just as much abuse as the kitchen table does. Unless you are prepared to clean them off every night and never allow anyone to put “things” on them, a cheap table won’t last but a couple of years. You can see where I’m going with this. 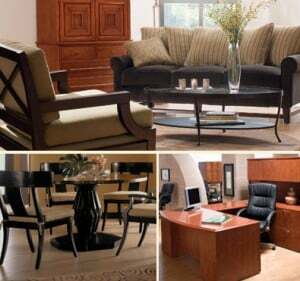 Furniture has a life expectancy and yours will depend on the type of furniture you start out with.